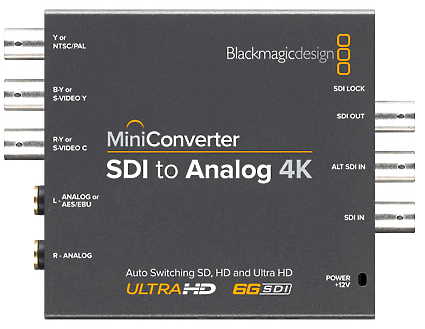 The Mini Converter HDMI to SDI from Blackmagic Design will accept an HDMI signal and convert it to 2 SDI outputs. You can also choose to embed audio from balanced AES/EBU or analogue audio inputs. 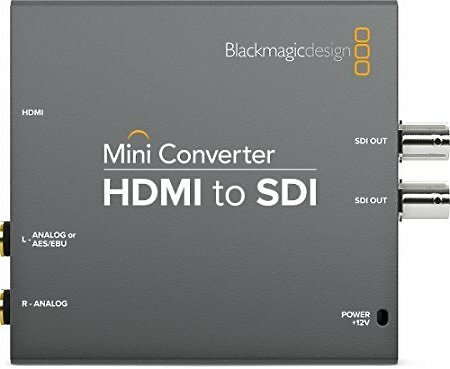 Use this device to add SDI output to cameras with HDMI connections or add SDI outputs to computers with HDMI or DVI connectors. 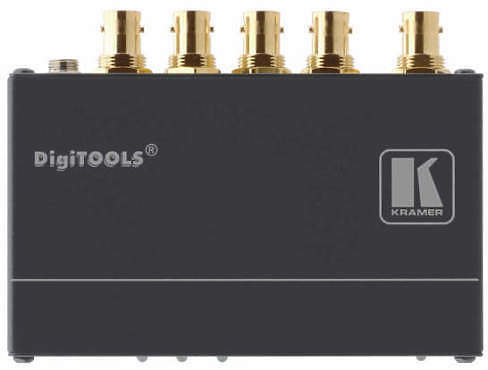 The VM-4HDxl is a high-performance distribution amplifier for 3G HD-SDI signals. 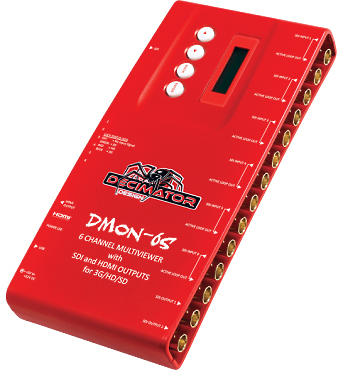 The unit takes one input, provides reclocking and equalisation and distributes the signal to four identical outputs. 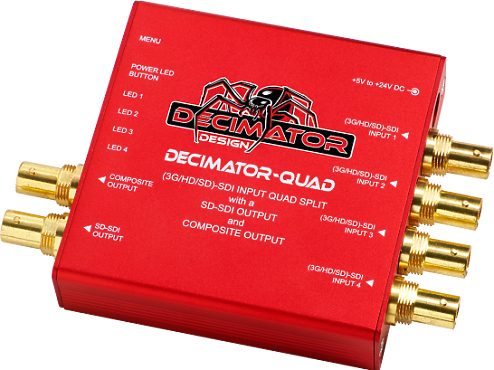 The DECIMATOR-QUAD from Decimator Design is a low cost, miniature 3G/HD/SD-SDI 4 to 1 Quad Split or Down Converter with 4 to 1 input multiplexer.